Sorry that today's post is so late! Had to wait for Cora to nap because I was engrossed in The Voice last night instead of working (whoops!). 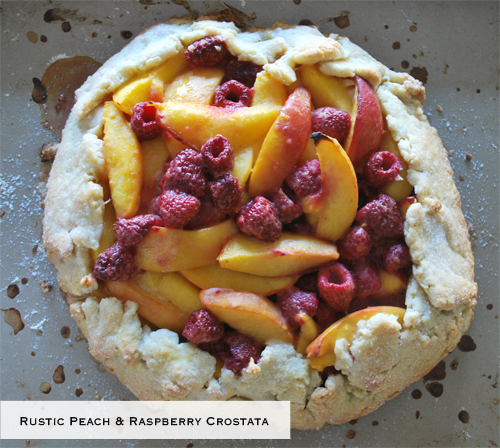 But before I dive right into this yummy Rustic Peach & Raspberry Crostata, I just want to say THANK YOU for the sweet and wonderful comments from yesterday's post!! You have no idea how much it meant to me to hear your feedback! I guess I know now that outfit posts are a series that I definitely need to add, huh? I should have another one coming soon, so stay tuned! With all of the excitement over yesterday's post, I completely forgot to share with you that I guest posted over at Social Stylate's blog. So if you'd rather get your fashion fix from me today, head on over there to see pieces that are on my Fall wish-list. And if you want to get your home decor fix, then you gotta get to Dallas' blog to see our picks to style an etagere. Okay, now getting back to the recipe! I've used this Tyler Florence recipe for awhile now and always make it around this time of year. It's perfect for the beginning of Fall because you can find peaches that are still ripe, and because it's rustic, it just has that cozy feeling. 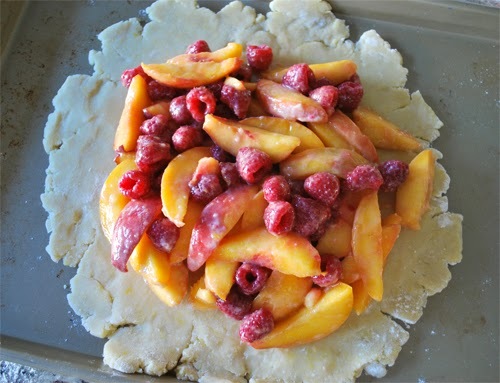 Tyler's recipe is really for a peach and blueberry crostata, but because I had raspberries on hand, I figured why not give it a go with the raspberries. And I tell ya, it was just as good as having the blueberries in there. Enjoy! 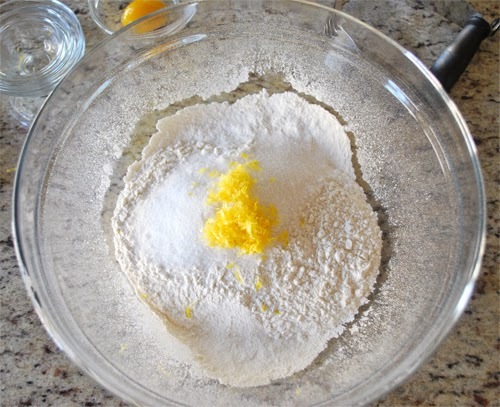 To make the pastry: combine the flour, sugar, salt, and lemon zest in a large mixing bowl. 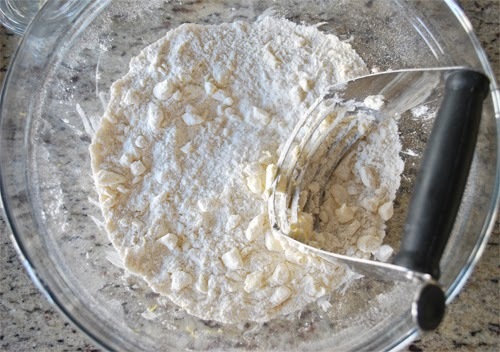 Add the butter and mix with a pastry blender or your hands until the mixture resembles coarse crumbs. Add the egg yolk and pour in the ice water; work it in to bind the dough until it holds together without being too wet or sticky. Squeeze a small amount together, if it is crumbly, add more ice water, 1 teaspoon at a time. 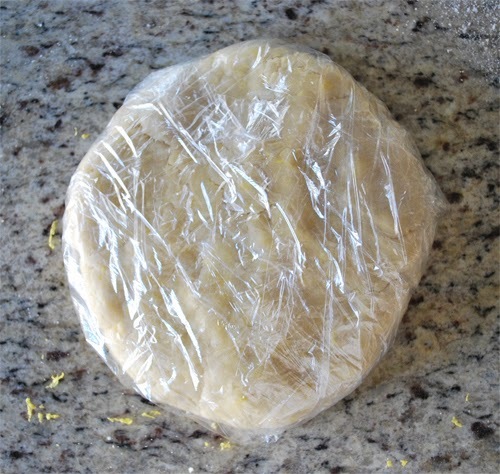 Form the dough into a disk and wrap in plastic wrap; refrigerate for at least 30 minutes. 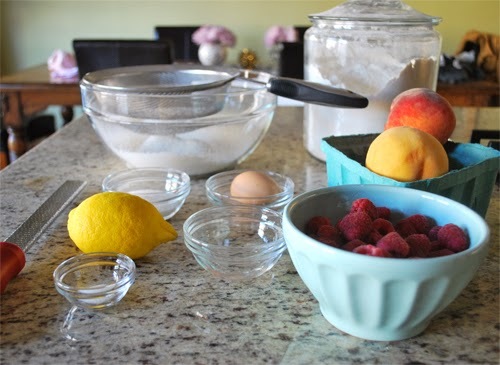 To make the filling: combine the peaches, raspberries, lemon juice, sugar, and flour in a large mixing bowl. 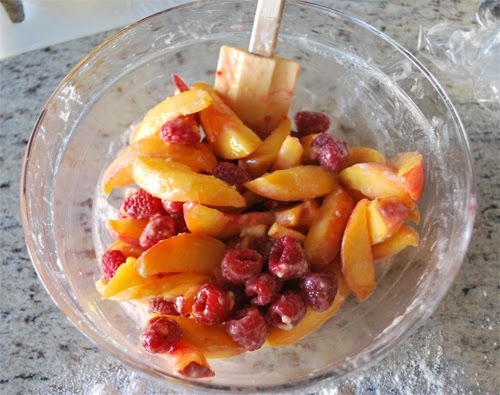 Toss the mixture gently to coat the fruit. 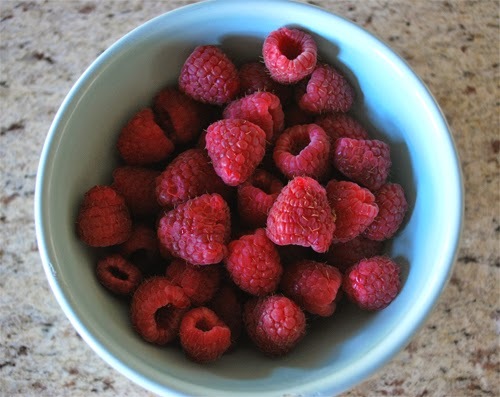 Because I used raspberries instead of blueberries, I added 1 tablespoon of honey to add just a touch more sweetness since raspberries can be a bit tart. Prepare your wooden burning brick oven according to manufacturer's directions or place a pizza stone in a conventional oven and preheat to 375 degrees F. **Now, we actually do own a pizza stone but for this recipe I opted not to use it. We make a lot of pizza at home and I didn't want any of the fruit juices to seep onto the pizza stone, so I ended up placing it on a baking sheet. But I can imagine baking it on a pizza stone would be heavenly. Sprinkle the counter and a rolling pin lightly with flour. Roll the dough out into a 14-inch circle, about 1/4-inch thick; it doesn't have to be perfect, free-form is the look you want for this rustic tart. Transfer the dough to a lightly floured pizza paddle (in my case, a baking sheet). Spoon the fruit mixture into the center of the dough, leaving a 2-inch border all around (as you can see, mine was less than 2-inches and it turned out just fine); brush the border with the egg wash. Lift the edge of crust over the filling, leaving the fruit exposed in center. 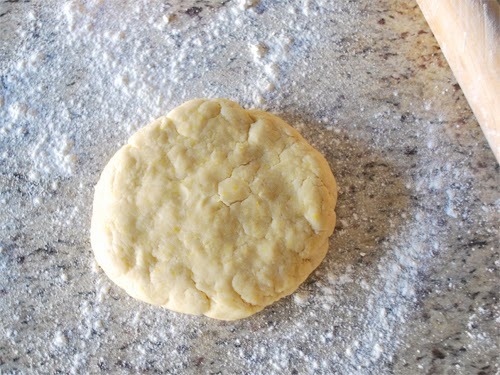 Gently fold and pinch the dough to seal any cracks. Brush the crust with the remaining egg wash and sprinkle with sugar. 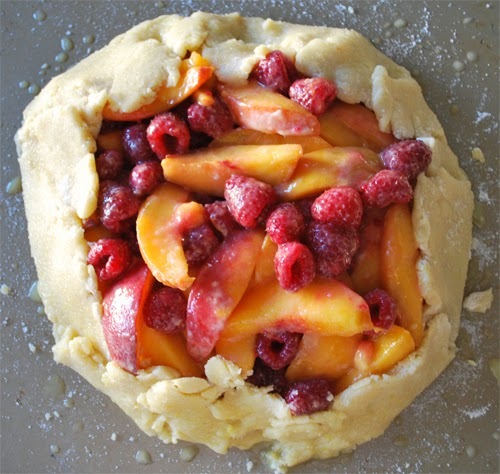 Bake the crostata for 30 to 40 minutes or until the crust is golden brown and fruit is bubbly and tender. Remove it from the oven and let cool. Serve warm or at room temperature with vanilla ice cream. 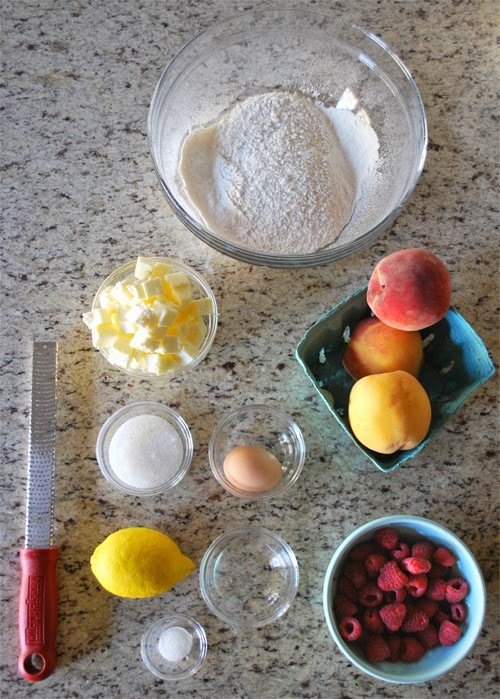 Flour, sugar, salt, and lemon zest all go in the bowl. I mixed it a tad bit more than what you see in the photo to really get it to be more crumbly. You can see bits of the lemon zest in the dough. Such a small ingredient but makes such a difference in taste. My rolled out dough really looks rustic, huh? But worry not if yours looks the same, just make sure to fold the dough and really seal it or else you will have a mess on your hands. This looks completely delicious. 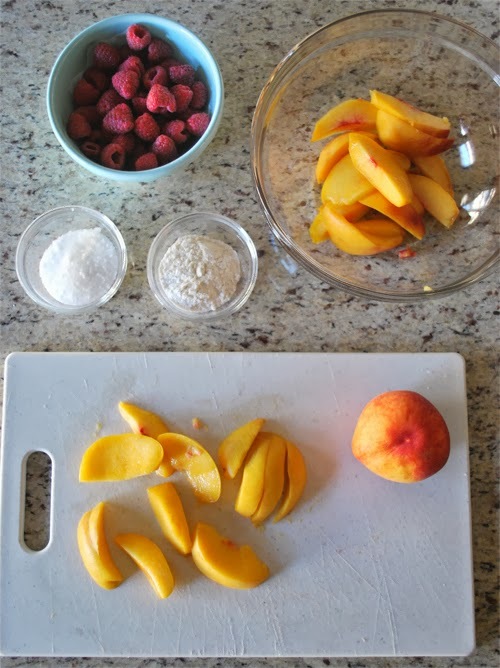 I love fruit desserts, especially with peaches. Yumm!